with extreme pride and prosperity, this elephant stands courteously in a golden brown colour. 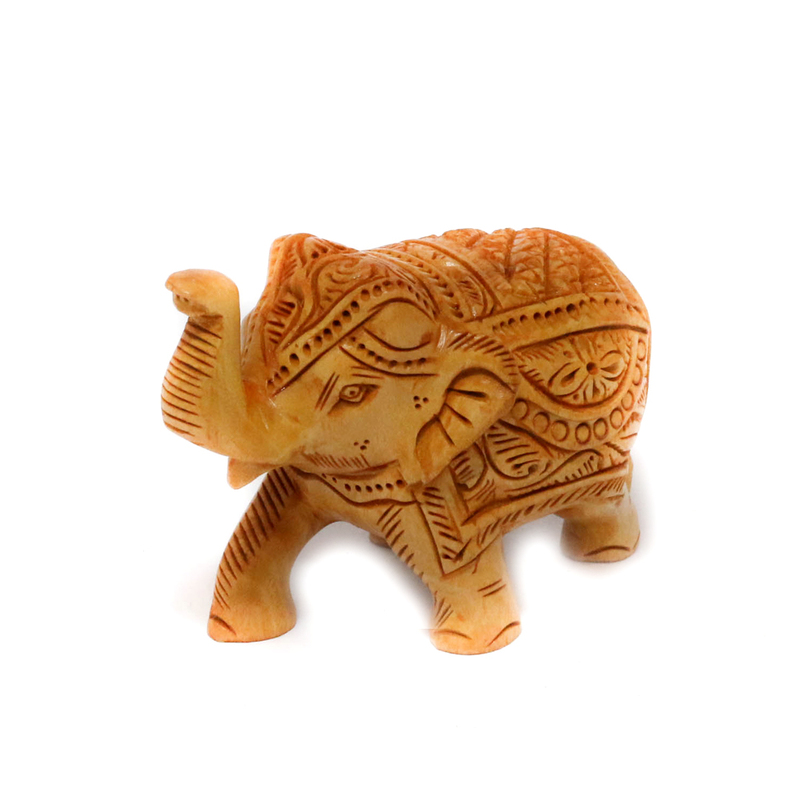 The showpiece depicts a standing elephant with designs carved all around Read More..it. It is made up of wood making it look exceptionally royal. Place this in your drawing room symbolizing valor and prestige. Show Less..